Guess where I went on Saturday? No, really. Guess. Whatever you are guessing, it isn't awesome enough. 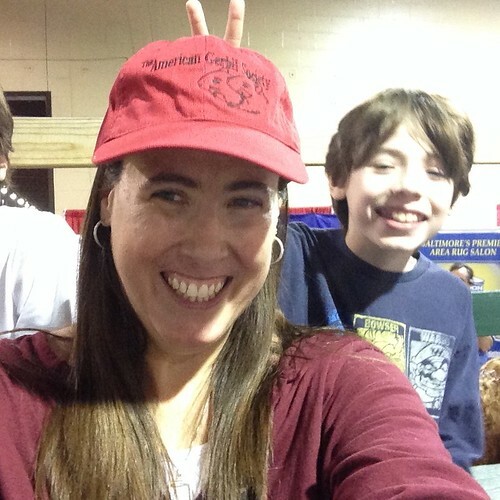 Saturday I dragged my kids out to attend a pet expo that hosted the American Gerbil Society 6th Annual Mid-Atlantic Gerbil Show. 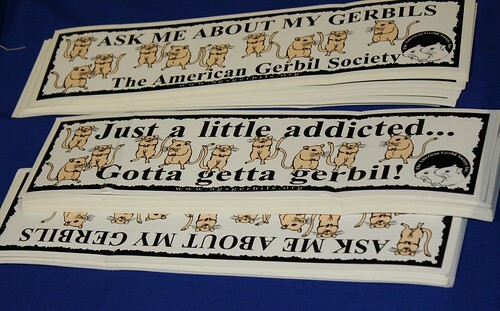 For those of you who express surprise that there is an American Gerbil Society, well of course there is. 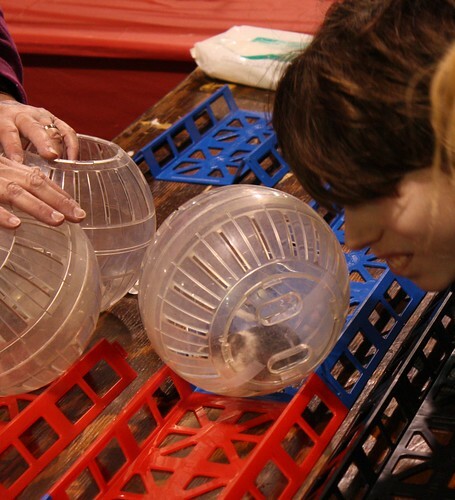 For those of you who express surprise that I attended said society's Mid-Atlantic Gerbil show, well of course I did. I guess it shouldn’t have surprised me that the gerbil show didn’t take up much space. Gerbils themselves don’t take up much space. I shared a photo similar to the one above on my Facebook page and someone was all, "Who are the people in the white coats?" The answer is that they are GERBIL SCIENTISTS. Obviously. Or maybe just gerbil judges—either way they seemed very important. We talked to one of the judges for a while. She was reviewing the juvenile gerbils and shared some of the criteria they had to meet. 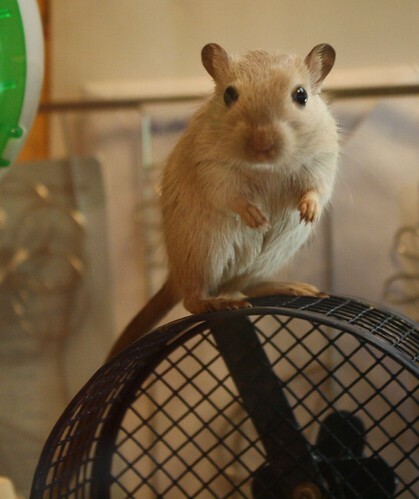 She also looked a little confused when my kids started pointing at one of the gerbils and shouting, "Hi, Jetpack! Hi, Jetpack!" 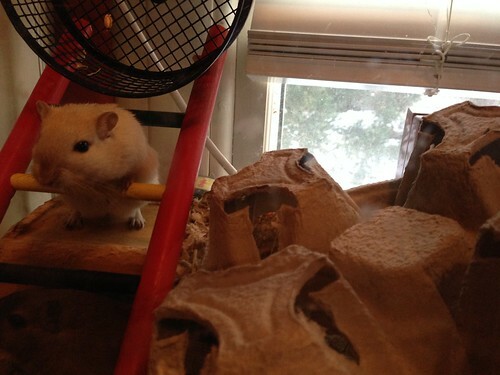 Yes, there was a gerbil there that looked just like a young Jetpack—of Stimeyland internet fame. OG gerbil, mother of five. It turns out that Jetpack is a Siamese gerbil, which is a rare thing. You guys, I have a rare gerbil. I. AM GOING TO BE RICH. 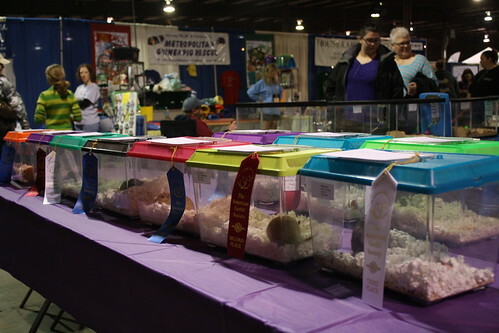 My kids were less interested in the details of gerbil judging (temperament, tooth color, fur coloration, underbelly staining) and more interested in the gerbil balls set up on tracks nearby. See, we used to have these for our mice and then I felt bad for them (the mice) and threw them (the balls) away, leaving my kids to ask me if we can put our rodents in balls and put them on the ground in cat territory more than I care to admit. This was an altogether safer setup than we have in Stimeyland. Shortly thereafter, my kids demanded to see the nearby bird display and we had to depart. We did swing by later (repeat after me: of course we did) and saw the results of the judging. These are the BEST gerbils. In case you’re wondering, they look kind of exactly like all the other gerbils. I did wander by the AGS table to pick up various literature and to peruse the merchandise they had for sale. I was NOT disappointed. These were $10 hats marked down to $5. I have no idea why they were not just FLYING off the shelf. 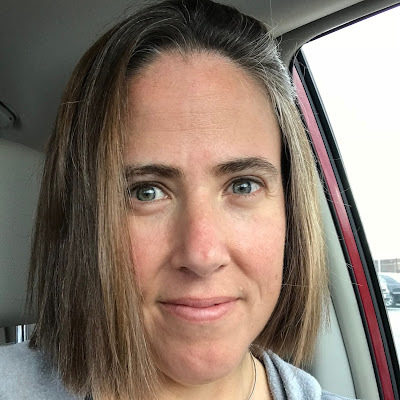 It seemed kinda jerkface-y to have all this fun at a gerbil show without inviting a single one of my seven gerbils to come with me and be rubbed all over by a lady in a lab coat, so I made sure to bring home something for them too. I brought them the drink holder I used at lunch. They are EXCELLENT for gerbils to chew on. I am a benevolent overlord. Frankly, the only thing that could have made this gerbil show better (other than a blue ribbon for Jetpack) would have been if EVEN ONE of the gerbils had been wearing a little hat. The lack of tiny hats was a little disappointing. But maybe that trend hasn't hit the mainstream just yet. We in Stimeyland are on the cutting edge of gerbil fashion. We can't expect The Society to have caught up quite yet. * Thanks to Lisa from Facebook for giving me the title to this post. I want a hat. And I am totally saving my drink trays for your gerbils. Not one of them was wearing a hat though. I never realized gerbils were organized enough to have their own Society. With events! So does Jetpack being a Rare Siamese Gerbil overcome the fact that she "gifted" you with 5 baby gerbils? I hope she gets to be the Grande Dame of the 7th Annual Mid-Atlantic Gerbil Show. That would make a great post. And because I feel kind of bad for commenting on this post and not the previous one -- your kids are super heroes of the watershed. And wow, I can't believe how much trash Quinn picked up. Sooo...this makes me feel not so weird about my chicken issues. hee hee. ;) Long live the Siamese gerbil! I LOVE that you have this information.